Delaware Electric Cooperative is relaunching its Irrigation Grant Program, which provides financial assistance to farmers who convert their diesel-driven irrigation systems to electric. The Co-op grants will cover the first $7,500 of the cost to run electric to irrigation systems. The remaining utility cost of converting those irrigation systems will then be split equally between farmers and DEC. 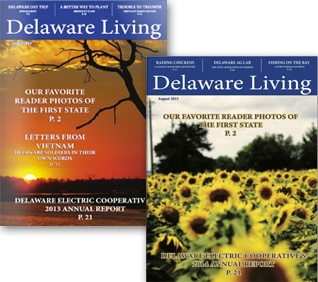 Farmers who receive a grant from Delaware Electric Co-op will also save money by participating in the Co-op’s load control program, which allows the Co-op to shut off power to irrigation units during peak energy usage times. Participants in the load control program typically enjoy a savings of 18 to 25 percent on their energy bills. The program initially launched in 2011, with 275 irrigation systems eventually being converted to electric, reducing emissions from those systems by approximately 75 percent. The program was briefly paused in 2017, but was brought back because of demand. To be eligible for the program, proposed irrigation systems must have a minimum 20 kilowatt load. Farmers will also be required to sign a contract for controlled load service with the Co-op for 60 months. For more information on the program please contact Kevin Yingling, Manager of Business Development and Energy Services at [email protected] or 302-349-3120.